My Very First Blog: What Is Your Ideal Breakfast? I hope you eat breakfast. I know of some people who don't. They said there is no time to eat breakfast as they tend to rush to work. Some said they just don't have the appetite to eat anything in the morning. But breakfast is important if you want to lose weight, or if you want to keep your blood sugar stable. Imagine not having any food or nutrient entering your body since dinner the night before! Oh, I know some of you eat supper. haha! Still, your body is deprived of food for 8 - 12 hours and if you don't eat breakfast, you will be further depriving it of nutrients for another 4 - 5 hours until lunch time! In the meantime, your blood sugar drops drastically and your body goes into starvation mode. So what does the body do in this situation? The body, being instinctively smart, will slow down your metabolism and store your fat in an attempt to make sure you survive the hunger. In other words, skip breakfasts often enough, and you will put on weight! Therefore, make sure you do not skip breakfast! Anyway, that's not the point of today's post. I really just want to know what is your ideal breakfast. ....and a few slices of bread or toast with thick kaya and butter! Hmmm....yummy! That's my ideal breakfast. No need nasi lemak, coffee, roti canai, McBreakfast and what nots! But in reality, what do I eat for breakfasts everyday? Believe it or not - it's nothing but fruits, fruits and fruits! Why do I eat fruits for breakfast? Isn't it weird? 1. I learnt that fruits are the most nutrient densed of all foods! Since my body is deprived of nutrients for almost 12 hours since dinner the night before, I would need to replenish them. So what better way than to eat nutrient densed food like fruits? 2. I also learnt that fruits are best consumed on an empty stomach. This is because fruits are the most easily digested food in nature. If you eat fruits following a heavy meal, the fruits will not be able to pass into the intestines from the stomach because they are prevented from doing so by the other food that are harder to digest. 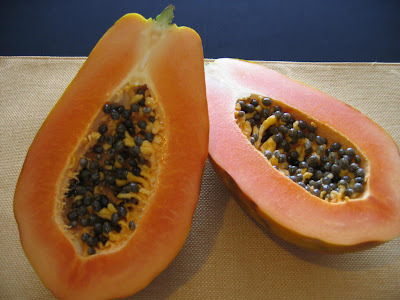 The fruits will then rot in the stomach, and ferment with the other food resulting in bloating, wind and indigestion. No wonder I don't feel good when I eat fruits for dessert after a meal! That's the wrong way of eating fruits! 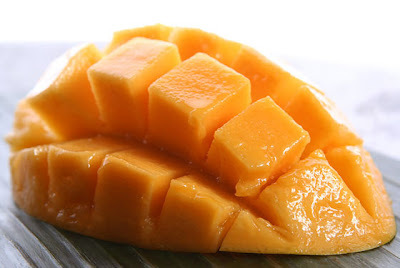 Fruits should be made the appetiser, not the dessert! 3. Do you know we need to take in at least 25 g of fibre daily? That's like eating 12-15 apples a day! Well, when I eat fruits for breakfast, I can ensure that I will fulfill my daily fibre requirement. Of course, my fibre intake also comes from vegetables and not solely from fruits. 4. 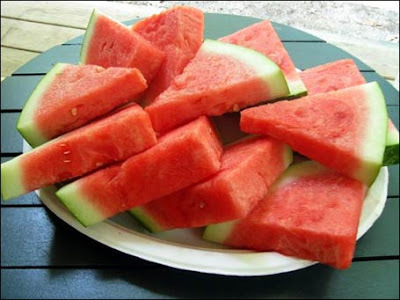 Lastly, fruits are known to be detoxifying. Meaning, they help to cleanse our internal body from accumulated toxins. So eating fruits first thing in the morning will help to detoxify our body and encourage us to pass out those toxins in the form of stools. The bottom line is, fruits are good for us and we need to eat lots of them! However, we normally don't eat enough because after eating breakfast, lunch, tea and dinner, we have no space left for fruits! If you were to follow the rule of eating fruits on an empty stomach, it is even harder to eat lots of fruits! So to me, the best time to eat fruits on an empty stomach is during breakfast! Oops! As usual, I have gone way off topic! Looking back at the title of my post, I am supposed to ask what is your ideal breakfast! Haha! Although I eat fruits for breakfast everyday, I do occasionally indulge in my favourite half boiled eggs, bread with kaya and butter and a cup of hot Milo or hot chocolate. What about you? Do share with me what you normally eat for breakfast everyday and what is your ideal breakfast food. I don't have an ideal breakfast. I like to mix and match in terms of breakie. I eat oats and cereal mixed with milo (unsweetened). On other days, it's bread with peanut butter (with jam sometimes), nasi lemak etc etc. I don't like having a fixed breakfast menu. SK, high five!! I love hotel buffet breakfast too. Just the thought of one makes me smile. LOL! Foong, my, that's a wonderful spread for breakfast. Yum! mei teng, haha! I'm posting this before lunch so as to tempt readers who are starting to get hungry. LOL! And also so that you remember what you just ate for breakfast this morning! Haha! It's Monday again, eh? Happy Monday, y'all..
mei teng, you like to mix and match your breakfast? Reminds me of clothes - mix and match. Haha! You drink unsweetened milo? Good for you! More healthy that way! Ooh! Peanut butter! I love that. My second best spread for bread after butter and kaya! SK, yeah love the bread with butter and kaya! Always have my fix at OldTown White Coffee. Haha! Fruits will never make it to my breakfast plate. It's always my favourite noodles at my usual coffeeshop evenry morning before I start my work. Scrambled eggs and bacon. With tea to wash it down with. OMG this SK Thamby eats like an OX, so heavy breakfast when he should be eating Chapati with fresh cow's milk. 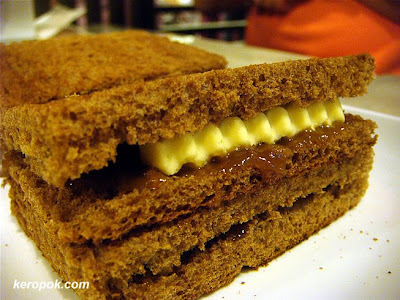 I love black kopi-O kau with toasted bread with 1 inch thick kaya inside. 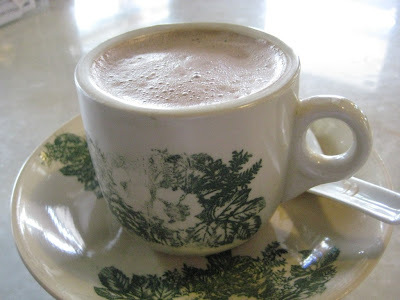 I need my cup of Neslo before I start work even though I've been advised by my doctor to stay away from Milo. But a cup of coffee is a must on weekends. Don't really eat all that much for breakfast but I try not to skip breakfast altogether. But I do take my breakfast around 9 to 10a.m. during my work. I guess my work is a little bit flexible. Hence I'm able to go out and makan alone or sometimes with my colleagues. :D So I believe my situation is still ok kua. Huh??? You eat fruits for breakfast? OMG...I have never, ever in my 24 years of life take fruits for breakfast. Hmm....but your arguments ring my ears. Perhaps it is time to shift and try eating fruits for breakfast? Ok my most ideal breakfast is nasi lemak. There you have it. You've been eating fruits at breakfast for quite long. Do you see any difference (in terms of health, stools, etc.. 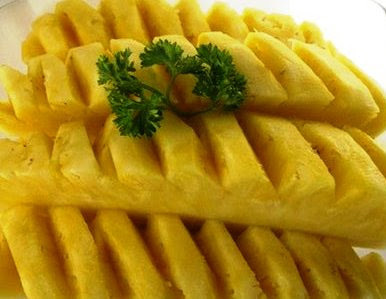 I don't know) between eating fruits and the usual style of breakfast. Hmm. What I hate most for breakfast would be bread or too sweet stuff. Other than that I think I'm fine. Haha. Oh yea, a cup milo is really good to start the day. Perks up the energy and it is light and not too heavy too! Add some wheat inside might gives us some extra boost :). Hehe.. I never skip my breakfast! Sucha good boi...hvg fruits. You must be a healthy hunk! my breakfast very simple..just milo and biscuit..
Coincidently, i bought banana too, LOL! But my ideal breakfast is nasi lemak with teh-ais... yeah.. fattening i Know... ha ha ha... but mostly my office breakfast is just a mug of milo and some crackers. Bak kut teh would be great b'fast for me. Most of the time I would have toast and half boiled eggs. twilight zone, haha! SK Thamby sure eat a lot for breakfast! Chapati and fresh cow's milk may not be enough for him! LOL! SK, so you look forward to breakfast every time you stay in hotels? Haha! It's really good to have fruits in every meal. You really know good nutrition. For breakfast, my favorite is the combination of garlic fried rice, fried egg and fried marinated beef strips. lina, what is the reason your doctor advised you to stay away from Milo? I have heard that Milo is unhealthy and cancer patients are advised not to drink Milo. Maybe it's the sugar content? But I guess drinking it once in a while is OK, just don't do it everyday. tekkaus, if you eat at 10am, then you are eating breakfast lah! Haha! I sometimes wake up late and also have my breakfast at 10am. Eh, where did I say you will die if you don't eat breakfast? Won't die, just get fat only! haha! You love coffee more now? I'm not surprised because coffee is addictive. I won't say coffee is unhealthy but too much would not be good. One cup a day is fine. che-cheh, nasi lemak! I like to eat that too but for lunch, not breakfast! haha! But my nasi lemak must have chicken and eggs in it. ladyviral, so you eat nice lemak every morning? Cereal with milk sounds delicious! I used to eat that too before I switched to fruits. Milo is indeed a very nice drink, but I also try not to drink it everyday. limpek, milo and biscuit? Sounds good to me except I only eat like that when I am sick. LOL! pikey, nasi lemak and teh ice? Maybe change the teh ice to teh panas? Cos not good to drink cold water or drinks after a fatty meal! Well, nasi lemak once in a while is OK.
You usually have Milo and crackers for breakfast right? That's not too bad. But I only eat like that when I'm sick. LOL! but, can your brekkie last u till lunchy? ailecgee, thanks! Fried rice is my favourite food! Adding fried eggs and fried marinated beef strips to the fried rice - wow! Yummy!! But I think with durians as breakfast, will last till lunchtime. haha! My breakie every morning is a big mug of organic oatmilk together with my vitamins. I see a few familiar pictures which matched my breakfast yesterday like the cup of drink, egg, the bread at Kopitiam and the papaya and pinneapple. Now I am taking oats and bread for breakfast. hahha! 7 days a week, I think 3 days I get nasi lemak... just cause my brother eats it all the time, so my mom buys the same for me. Sadly... Alot of times I asked her not to buy but she still does :/. Try not drink Milo everyday? Why? I don't take milo everyday too. Only when I feel like it. But I haven't drank it for about a month now. Ok maybe I should go have a cup now hehehe. i know fruits are good for breakfast just that not many fruit stall open at that time and i have not much time to buy it the day before. i just finished my breakfast - fried mee (small stall pack), butter kaya toast and hot nescafe. sound not healthy. i know. I'm afraid two half-boiled eggs per morning is too much. I don't usually eat breakfast but I try. Interestingly you are the only one I know consume fruits for breakfast! Thats so healthy and so true. My ideal breakfast would be a sandwich or crossiant, make warmed, preferably with cheese and chicken ham. For drinks, I'll have ice coffee such as Starbuck's ice caramel macchiato or ice white chocolate mocha. I don't usually eat local food such as fried carrot cake or nasi lemak becos there are too oily to start the day. I like noodle for breakfast with a hot cup of red tea! my favorite breakfast? nasi lemak and coffee.. I also eat fruits for breakfast most of the time...great way to start the day! I usually eat a good breakfast on Sundays with my family, in-laws and parents. Foong, so breakfast at Crowne Plaza Mutiara Hotel is good, eh? Gotta try it sometime then. Thanks for the tip. I also like dim sum for breakfast, particularly the porridge. The place I like best for dim sum and porridge is at the Chinese restaurant in Concorde Hotel. Don't forget the hor-yip faan there too. My breakfast is a mix and match too! But I must have breakfast everyday. i do have breakfast. 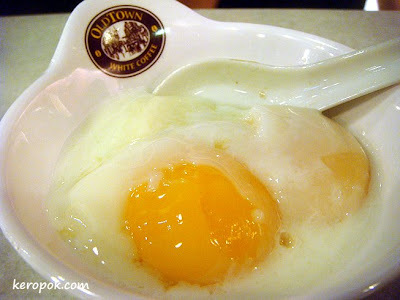 and i love oldtown's breakfast set a! mariuca, I think you should just have brunch! LOL! 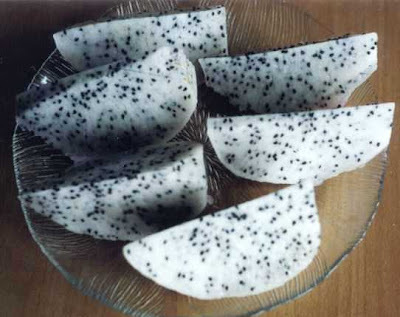 I love eating fruits and foong, i miss star fruit...we call it balimbing in Philippines. Haven't eaten that for many years. lina, wow! Durians for breakfast, lunch and dinner? I think that's too much durians for one day! Should be more balanced lah, no wonder gastric problem. Haha! Moderation is the key although it's really hard to control when you can see durians right in front of you all the time. Haha! ladyviral, wow! Your brother eats nasi lemak all the time? You better advise your bro - it's not healthy. I guess 3 times a week still OK, provided you are also not eating nasi lemak for lunch and dinner.Haha! brian kinney, hi there faisal! New name now? Suddenly change to orang puteh? LOL! khengsiong, two half boiled eggs every morning is too much? You mean too many eggs in a week? Or just 2 eggs for breakfast is too much food for you? I think you mean it's unhealthy to eat so many eggs in a week, right? Well, you don't have to eat eggs for breakfast everyday. Maybe every alternate day. a common singaporean, you don't eat breakfast? Too busy or no appetite? It's better to eat something as breakfast stabilises your blood sugar and also increase your body's metabolic rate. You don't want to put on weight, do you? Since you are so vain. Haha! You are really big fan of Starbucks coffee aren't you? Ice coffee first thing in the morning? Hmm, if I do that, I will have stomach upset. My stomach can't take ice cold drinks in the morning! eastcoastlife, you should try to eat breakfast regularly. I understand about no appetite in the morning. I also do not have much appetite in the morning, that's why I eat fruits only. Can't eat all those heavy stuffs like meat and bak kut teh! eastcoastlife, your list of breakfast food looks yummy!! Cornflakes with milk is absolutely delicious! Dim sum is nice too but not too early in the morning, maybe for brunch. LOL! As for fish porridge, mee siam and noodle soup, I prefer to eat these at lunchtime. Pancakes are like more for tea, no? monica, I know you are a BIG eater so fruits definitely not enough for you! Haha! merryn, actually I don't quite agree with breakfast like a king, lunch like a queen, dinner like a pauper. I think we should eat moderately (not full and not hungry) 6 times a day. This is the best way to balance our blood sugar throughout the day. Fruit juice is good, but I think whole fruit is better as you get to eat the fibres too. JL, fruity breakfast is good! But to some people not filling enough. 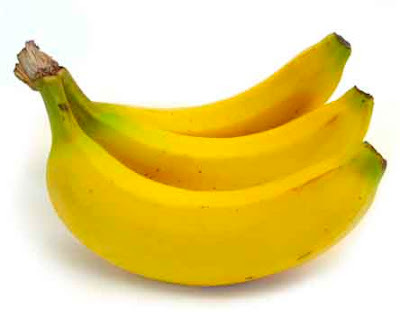 Actually if eat more bananas will be quite filling. 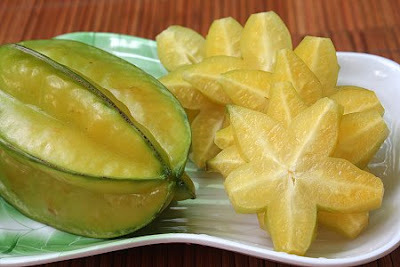 ayie, I love starfruits! Hey, it's called belimbing here in Malaysia too! perky, I think I'm like you too. Not much appetite first thing in the morning. But fruits are OK with me as they are easy to digest. Really? balimbing is rare in my area anymore...maybe can still see in farms and provinces. I got used eating that way since I stay long in school during hs. Had to pack up energy the whole day. I carry it on til now. I can't take snacks in between, I don't have much appetite and storage to have multiple foods a day. A piece of kiwi or any small fruit will be my snack or a small bag of chips! hahaha! The bread is so delicious, try it before but is kinda expensive. lol i dont take fruits for breakfast..
Did Michael Jackson Heal The World? Would You Like To Live To A Hundred? Do You Like Bread With Kaya And Butter?